I would love to pin down an article to all candidates/aspirants who wish to be admitted into the University of Benin (Uniben), but are yet to be admitted or are waiting for the UNIBEN first, the second batch for admission list for the 2019/2020 academic session, here are some vital information you need to know. 1. To all candidates who duly registered and participated in the University of Benin (UNIBEN) 2019/2020 Post UTME Screening exercise, and are yet to be admitted into the academic institution, one thing you should NEVER lose is Hope. There are up to four admission lists which the school usually release, so just hope and pray. 2. Another aspect you should probably know is this. If you want to know that you have been granted admission into the University of Benin, follow this guideline. Login to the admission checking portal https://uniben.waeup.org/login, then take note that at the top spot of the page where “submitted” is written, if you were admitted, it automatically changes to “admitted”, then at the bottom of the page, you will see the course that was given to you. Please take note that if you are still seeing submitted, it means there is still hope to be admitted anytime soon, as batches of admission lists will be released in due courses. 3. All candidates awaiting the next admission lists, should note that the batches to come up will either have two things: Those that will be admitted to study the same course they applied for and those who didn’t make cutoff mark but will be pushed to study another course which they did not choose and apparently, which have lesser than the department carrying capacity. Please take note that this is a new development from the side of UNIBEN and we are yet to predict what’s going to happen next. However, one thing you should learn how to do is keeping calm, relax and wait for the next batch let’s see what it will bring forth. We’ve got tips that the academic institution will be releasing more admission list batches, so always make sure you log in to your Kofa page to see if any changes have been made. 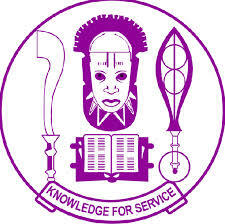 Please, always remember to visit Dailyschoolnews.com.ng for more updated details about the University of Benin. In the meantime, don’t forget to share this information with your friends on Facebook, Twitter, and Google+, using the share buttons below.